The OsmoMGW is a media gateway. However, it's primary purpose is currently not to gate between TDM style interfaces (E1/T1) and IP, but basically a RTP crossbar interconnecting different sources and sinks of RTP streams. It supports the IETF MGCP (Media Gateway Control Protocol) for control from Call Agents, such as those present in OsmoBSC and OsmoMSC. In small-scale deployments, OsmoMSC + OsmoBSC can also share a single instance of OsmoMGW. 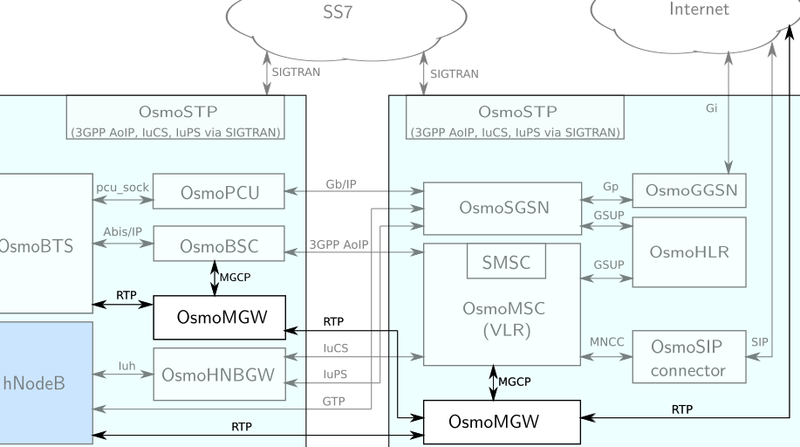 sysmocom is offering different support levels for the Osmocom based cellular network elements. This gives you the trust to get support to your needs in the most effective and economic way.